Mesothelioma may have just got a new treatment contender. On January 2nd, The U.S. Food and Drug Administration (FDA) accepted an investigational drug application for SEL-403 from Selecta Biosciences, Inc.
Selecta is a biopharmaceutical company that is located in Watertown, Massachusetts. The company’s goal is to discover the full potential of biologic therapies without bringing any harm to a patient’s immune system. Every year in the United States approximately 3,000 people are diagnosed with mesothelioma. 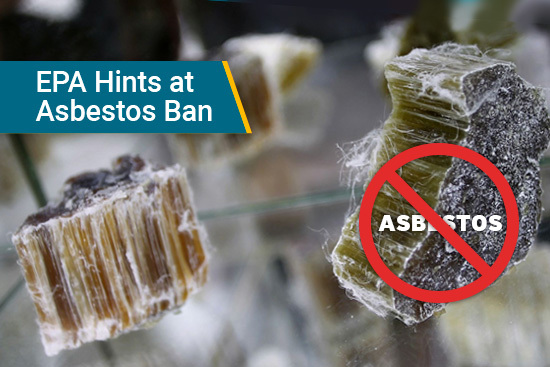 Unfortunately, there isn’t a cure for this asbestos-caused disease. There is hope in Selecta’s creation, SEL-403. 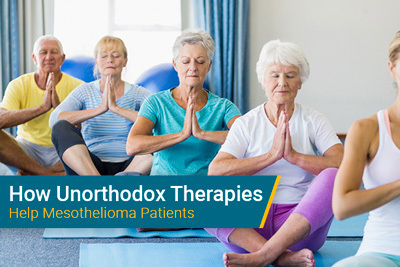 Researchers believe that it exhibits qualities that may be successful in treating pleural and peritoneal mesothelioma patients. SEL-403 is a combination of SVP-Rapamycin and LMB-100. Both of these drugs have been created by the Selecta company. SVP-Rapamycin is an anti-drug antibody that is still at a clinical-stage. It works by targeting specific antigens in the immune system. LMB-100 is a man-made protein that targets mesothelin. It binds to tumors and attacks and kills cancer cells. “With our SEL-403 product candidate, which combines our proprietary SVP-Rapamycin technology with LMB-100, we believe the potential exists to avoid immunogenicity, thereby allowing patients to receive multiple treatment cycles and benefit fully from treatment,” stated the CEO of Selecta, Werner Cautreels. In preclinical research conducted in 2016, the National Cancer Institute (NCI) discovered that SVP-Rapamycin combined with LMB-100 has the potential to extend a mesothelioma patient’s treatment cycles. Researchers also believe that this combination may be capable of enhancing a patient’s anti-tumor activity. Currently, Selecta is planning a Phase 1 trial at NCI in Bethesda, Maryland. This trial anticipates to consist of about 18 participants. 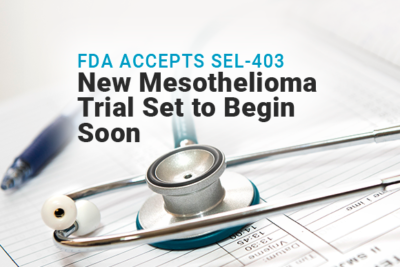 Mesothelioma warriors that become enrolled in this clinical trial can expect to receive up to 4 treatment cycles of SEL-403. The objective of this study is to evaluate the safety and tolerance of the drug combination in patients. “We look forward to working with NCI to advance this promising combination therapeutic candidate into the clinic for patients with mesothelioma, which remains among the most difficult to treat cancers,” said Cautreels. Mesothelin is a protein found on the surface of some cancer cells. Malignant mesothelioma tumors often express a large amount of mesothelin making it an attractive target for experimental therapies. LMB-100 is just one of many investigational drugs currently used in clinical trials today. For more information about this upcoming trial or other clinical trials, please contact Mesothelioma Guide’s patient advocate Jenna Campagna. You can reach her by phone at 888-385-2024 extension 102 or by emailing her at jenna@mesotheliomaguide.com. Get in depth knowledge about your diagnosis & the best treatments. Selecta Biosciences Announces FDA Acceptance of Investigational New Drug Application for LMB-100 and SVP-Rapamycin Combination Therapy. Pipeline Review. Retrieved from: http://pipelinereview.com/index.php/2018010266974/Antibodies/Selecta-Biosciences-Announces-FDA-Acceptance-of-Investigational-New-Drug-Application-for-LMB-100-and-SVP-Rapamycin-Combination-Therapy.html. Accessed: 01/08/2018. SEL 403. Adis Insight. Retrieved from: http://adisinsight.springer.com/drugs/800050457. Accessed: 01/08/2018. SVP™ for Immune Tolerance. SELECTA Biosciences. Retrieved from: http://selectabio.com/platform/svp-for-immune-tolerance/. Accessed: 01/08/2018. Adis Insight. LMB 100. Retrieved from: http://adisinsight.springer.com/drugs/800041820. Accessed: 01/08/2018. Mesothelin-Targeted Immunotoxin LMB-100 Alone or in Combination With Nab-Paclitaxel in People With Previously Treated Metastatic and/or Locally Advanced Pancreatic Ductal Adenocarcinoma and Mesothelin Expressing Solid Tumors. ClinicalTrials.gov. Retrieved from: https://clinicaltrials.gov/ct2/show/NCT02810418. Accessed: 01/08/2018. About Selecta. SELECTA Biosciences. Retrieved from: http://selectabio.com/about/about-selecta/. Accessed: 01/08/2018. What is biological therapy?. National Cancer Institute. Retrieved from: https://www.cancer.gov/about-cancer/treatment/types/immunotherapy/bio-therapies-fact-sheet#q1. Accessed: 01/08/2018. What are targeted cancer therapies?. National Cancer Institute. Retrieved from: https://www.cancer.gov/about-cancer/treatment/types/targeted-therapies/targeted-therapies-fact-sheet#q1. Accessed: 01/08/2018. NCI Dictionary of Cancer Terms. National Cancer Institute. Retrieved from: https://www.cancer.gov/publications/dictionaries/cancer-terms?cdrid=45616. Accessed: 01/08/2018. Mesothelin Immunotherapy for Cancer: Ready for Prime Time?. Journal of Clinical Oncology. Retrieved from: http://ascopubs.org/doi/pdf/10.1200/JCO.2016.68.3672. Accessed: 01/08/2018. Nicole Godfrey is the Senior Content Writer for Mesothelioma Guide. 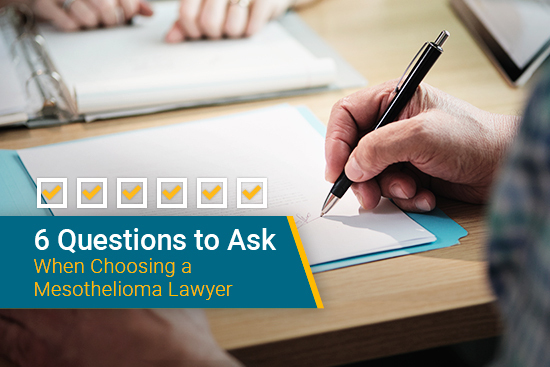 She writes and edits pages to make sure that mesothelioma patients and their families receive the most current and significant information about mesothelioma.